(APN) ATLANTA — Westinghouse Electric Corporation, the designer and builder of the AP1000 nuclear reactors under construction in Georgia and South Carolina, has filed for Chapter 11 reorganization bankruptcy, putting the future of the nuclear power industry in jeopardy. Clean energy advocates hope this bankruptcy will be a wooden stake in the heart of the so-called “nuclear renaissance” that finally kills it, including the incomplete new reactor units 3 and 4 at Plant Vogtle. As previously reported by Atlanta Progressive News, Georgia Power has already cancelled plans to build new, smaller reactors in Stewart County on the Chattahoochee River south of Columbus, Georgia. Westinghouse, a subsidiary of Japan’s Toshiba, is 9.9 billion dollars in debt from massive cost overruns at Plant Vogtle in Georgia and Plant V.C. Summer in South Carolina. The company has announced it will no longer be in the nuclear construction business beyond these two projects. The big question is, will these projects in the U.S. be completed or abandoned? 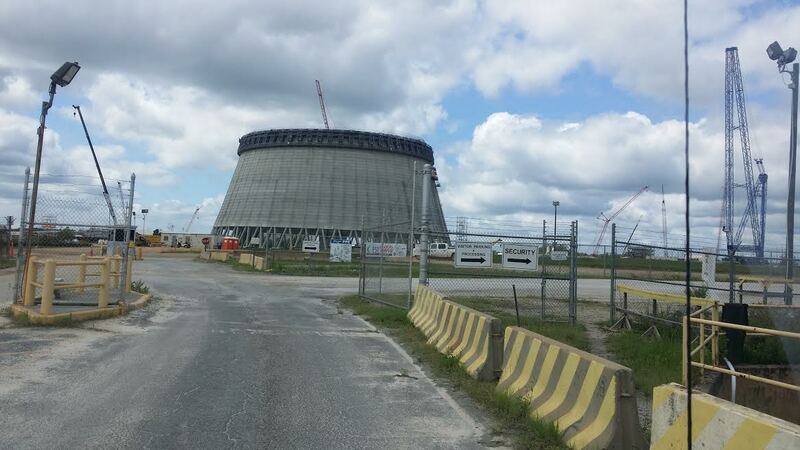 A bankruptcy court may decide the fate of Vogtle and Summer. That is, if they are constructed at all. Stan Wise, chairman of the Georgia Public Service Commission, said the utilities developing the Alvin W. Vogtle generating station in the state would have to evaluate whether it made sense to continue. Georgia Public Service Commission, told the New York Times newspaper. “If, in fact, the company comes back to the commission asking for recertification, and at what cost, clearly the commission evaluates that versus natural gas or renewables,” Wise said. Were the nuclear cost overruns and delays foreseeable? Of course, they were. When Vogtle Units 3 and 4 were being debated in 2008 and 2009, environmental advocates warned that this would happen. One only has to look back a few decades at the construction of Vogtle 1 and 2, which was fraught with delays and went almost 1,000 percent over-budget. Georgia Power and the PSC were warned at every meeting for years by environmental groups, consumer advocates, clean energy advocates, expert witnesses, and concerned citizens about the high risks of investing in expensive and dangerous nuclear power. Did the PSC or Georgia Power listen? No, they ignored every warning at every meeting for years. “Nuclear construction costs were not, and are not, controllable. This is why there have not been any new reactors built in the United States for more than thirty years,” Steve Prenovitz, an economist and long time observer of this process, predicted in 2010 about new construction on Vogtle 3 and 4. Ratepayers’ interests have never appeared to be the priority of the PSC. They appear to operate under a belief system that what is good for Georgia Power/Southern Company is good for everyone. So far, the Georgia PSC, abetted by the Georgia Legislature, has protected Southern Company’s shareholders from any meaningful risk – allowing them to collect a guaranteed 10.9 percent profit, while Tom Fanning, Chairman, of Southern Company gets an eight percent raise. Meanwhile, Georgia Power customers continue to be forced to pay in advance for the construction of Vogtle 3 and 4 thanks to the General Assembly’s anti-consumer Nuclear Construction Cost Recovery tariff on their utility bills. “No electric customer should be forced to continue to pay for construction of an electric generation facility that the utility can not accurately predict the cost of completion of the facility and if and when the facility will be completed… the shareholders should carry the risk, ratepayers should not be on the hook to continue to pay,” Dr. Stephen Smith, Executive Director, Southern Alliance for Clean Energy (SACE), said in a telepress conference in which APN participated. “We need utilities to own up to their errors, as they have lost credibility; and regulators to do their job to protect the citizens financial interest from this unfolding disaster,” Peter Bradford, former commissioner, U.S. Nuclear Regulatory Commission, said in the teleconference. “Georgia regulators were told a decade ago that you need to avoid open-ended commitments because they are unlimited. Investors have proven unwilling to shoulder such exposure and that risk should not be put on customers,” Bradford said. “The exposure of the ratepayer going forward must be capped with a realistic and binding schedule. If this can’t be done, it is time to walk away and stop throwing good money after bad,” Bradford said. Commissioners are only supposed to pass prudent costs on to the consumer; however, to, date, the PSC has considered everything Georgia Power wants to be prudent. “It is time to stop wasting time, energy and money on Vogtle 3 & 4, which aren’t needed anyway. Our renewables future is close at hand. It is time to get on with it,” Glenn Carroll, Director, Nuclear Watch South, said. The total construction of Vogtle is only about 35 percent finished, four years behind schedule and billions over budget. Eight percent raise. Wow! That is much more that top performers I know made last year. Tom received $11 million plus in reportable compensation last year. What did he receive this year? I have a general question about the project. So what is the current situation? Will the project continue? Actually, I got a job offer to go to that project. I am currently in employed. And was looking for a job. I got 2 job offers recently. One at vogtle plant another one with a state government. Vogtle job is much higher pay than other one as well I will be qualified for LAHA since my home is not there. But I am concern that if that project will continue or not. I am in a dilemma. And not sure what to do. I would go to Vogtle site if I knew that the project going to continue. Any suggestion would be appreciated.